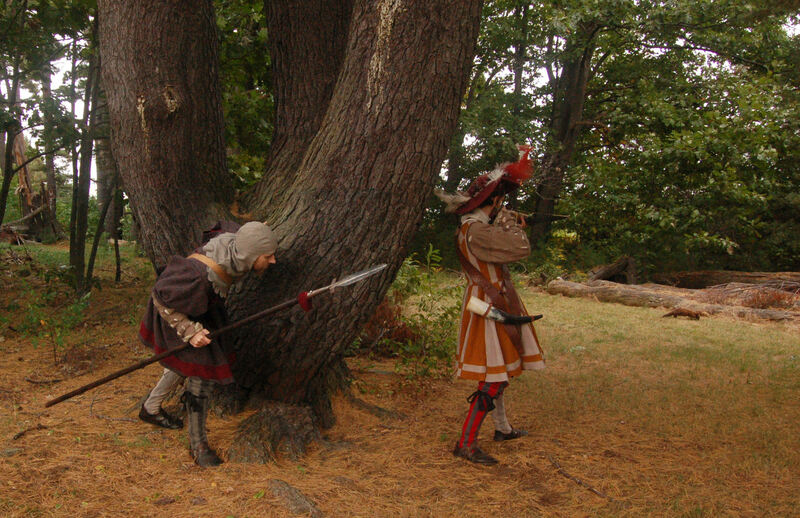 September, 2006.... Eliana and I went out to try to recreate with a photograph a scene like Bruegel the Elder's "Rabbit Hunt". We decided to also get a few up to date photos of my clothing - though the new hosen have their own page linked to the previous page. Additional pictures my little weasel friend can be found through this bit of underlined text you are now reading.